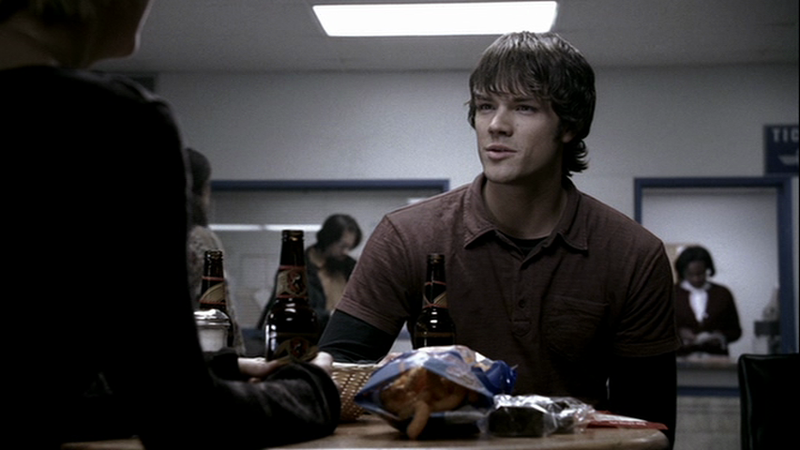 Sam has one red polo shirt with a dorky useless little pocket on the left breast. In Scarecrow (1x11), Sam wears the red polo on his attempted solo journey to California, and during the subsequent rescuing of Dean. Can tell you one thing--there's no way Sam could get that shirt over his shoulders and biceps now! Haha, definitely not. I think most of his S1 clothes were outgrown.